Sorry guys but donut walls are so 2000 and late, this year it’s all about mindful menus and conscious consumption where eco-friendly is in, and fried is out. But that’s not all you can do to ensure your guests get a culinary encounter that will keep them in their seats. 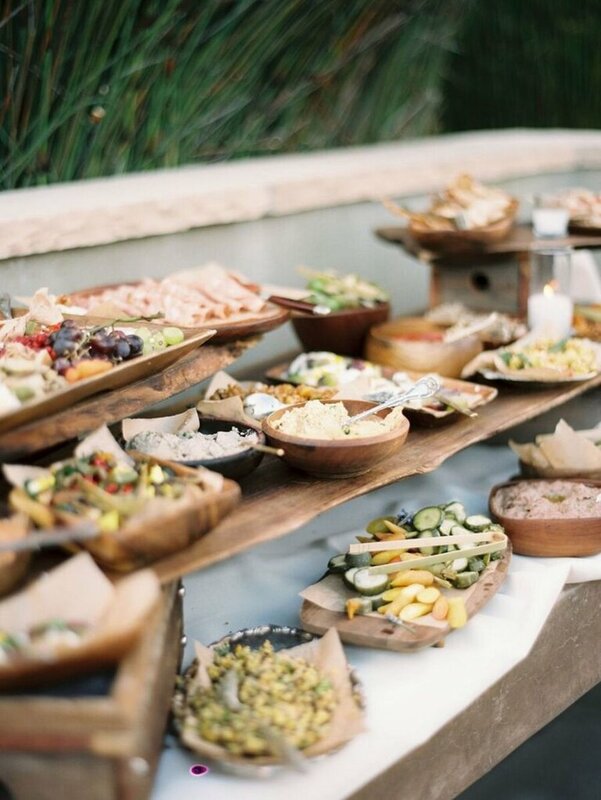 We’ve got the run down of the most nutritious and delicious catering trends to whet those palates and ensure your event is a surefire taste celebration. Sustainable, mindful and healthy are what corporate and social event guests alike are into this year. If it isn’t biodegradable it’s out. If it isn’t composted or donated it’s out. If it’s dipped in batter and deep-fried, holy lord of the fast food gods, it is out! Millennials have more of an interest in knowing where their food has come from, are practicing more dietary restrictions, and are more mindful of whether all that plastic packaging is going to strangle a seahorse or get stuck up a turtles nose, than ever before, so source locally, cater to the veggies/coeliacs/lactose intolerants, and if it’s not already obvious, minimise plastic packaging and unnecessary garnishes. Craft tea is the new craft beer for the non-alcoholics among us. Creating a craft tea bar with a variety of brews (did you know you can now get sparkling teas, tea lattes and tea kombucha?) will cater for the growing number of health-conscious people looking to cut back on their booze consumption. For those still partial to a drop or two of the hard stuff, go for beer and wine from local microbreweries and vintners. Make the food the entertainment by offering immersive experiences where the chef is cooking up a storm in front of your guests. Try fresh to order tacos from a hired food van, have a pizzaiolo tossing dough for fresh pizzas, or get a chocolatier come in and let guests create their own selected chocolate box. Interactive food service will be all the rage in function entertainment this year. Corporate catering menus are increasingly leaning towards being quick and easy to eat, working men and women are busy, often they’ll attend an event to make the connections, grab a bite to eat and head back to their desks. Try ready made chia/bircher jars for breakfast, or bring in a food truck for lunch where local flavours can be whipped up on the fly so busy delegates can grab and go. Asian cooking techniques in an East meets West fusion will be big on function menus in 2019, with healthy methods such as grilling, and colourful ingredients from far-flung lands spicing up presentation. No cooking at all will also be a trend with fresh, raw seafood in the forms of crudo, sushi and tartare instead of 2018’s poke bowl craze. Check out the Royal Exchange of Sydney , one of the CBD 's leading venues available for hire . They have a team behind the bar and in the kitchen who are able to cater to all the latest trends in food and beverage. Contact them at Manager@royalexchange.com.au for more information.